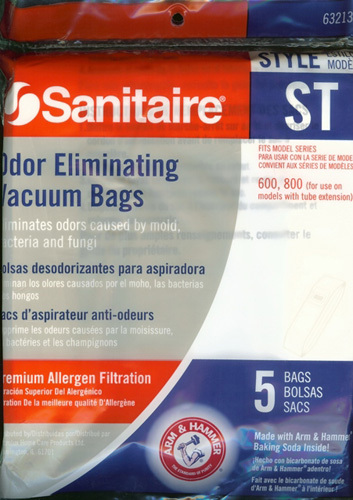 These NEW synthetic bags offer you a huge increase of air-flow while increasing your filtration. Lasts 2X longer than conventional paper vacuum bags because of the increased airflow no matter how much dirt in in the bag. As dirty air passes through the bag, Arm & Hammer baking soda particles neutralize odor bearing chemicals. The result, clean, odor free air is released into your home. You will love the way they filter install and eliminate odors.